Dominion is a deck-building game with many layers of strategy. Players use their cards to perform actions and buy cards including action, treasure, and victory cards. The winner is the player with the most victory points. Dominion won the prestigious 2009 Spiel des Jahres and Deutscher Spiele Preis awards. Hands down, it was the best card game published in 2008. By 2016, more than 2.5 million copies of Dominion and its expansions had been sold worldwide. The game has an abstract medieval theme and a wide array of available action cards, which can take a few rounds, especially if you are playing with one of the expansion packs. The game is available online or on Android for free. The online or phone app versions are a good way to practice and learn the card decks. Thematically, Dominion is a game about monarchs attempting to expand their kingdom. Mechanically, it is a deck-building game where two to four players buy cards at each turn to add to their decks. Players slowly grow more powerful as the game progresses. 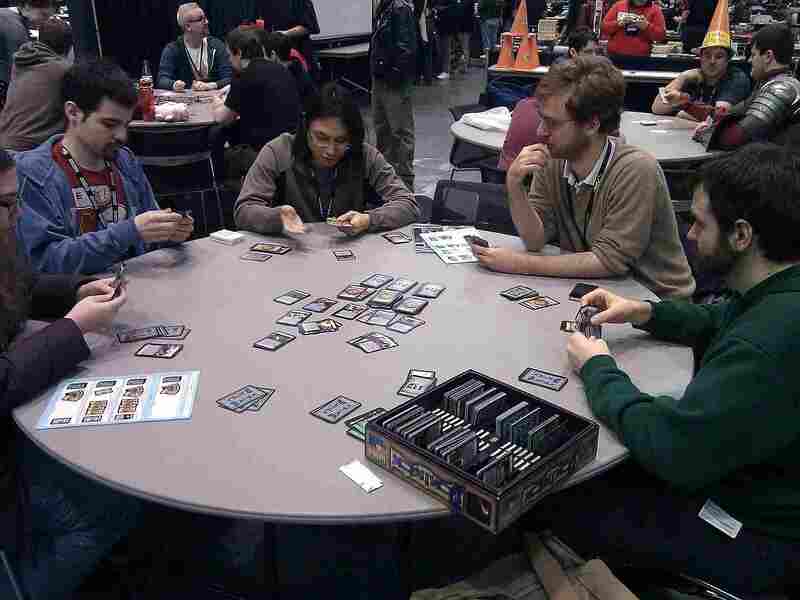 The game has been likened to "Magic: The Gathering" for its similarity from a collectible, card-building aspect, but at its essence, it is not a collectible card game. Dominion's inventor, Donald Vaccarino, has prior credits for working on "Magic" before developing Dominion. The game comes with 500 cards. You select 10 of the 25 kingdom card types to include in any given play—leading to immense variety. Dominion is an incredibly complex game and with millions of possible board combinations, there is no one best strategy that will work in every game. However, strategic money tips most certainly can get you there. Perhaps one of the best tips for playing and winning using the "money strategy" is to consistently buy bigger treasure cards. Your hand will improve every round. Dominion is a game about buying cards to put in your deck. And while treasure and victory cards may be important, the meat of the game can center around the actions you take. One pitfall that new players make is holding too many actions cards. Too many actions will ruin your deck. Since you only get to play one action per turn, plan on holding one action for every five cards that you have which is one of our favorite strategic action tips. For example, if you have a deck of 20 cards, holding four actions is a good balance. Dominion, as a deck-building game, may seem to be all about adding good cards to your deck. However, an important thing to remember is that another way to improve the average card in your deck is to trash the bad cards. So, plan on adding cards at the high end, and removing cards at the low end. This will improve your deck's average.